TTEC has an extensive stock of Temperature Measurement Sensors, Components & Accessories for this Industry. These products include Thermocouples, RTD`s, Thermowells & Protection Tubes, Thermocouple Wire, Temperature Transmitters, Temperature Indicators & Controllers. Components & Accessories include Heads & Blocks, Insulators, Standard & Miniature Connectors & Panel Jacks, Strip Panels & Compensated Thermocouple Barrier Strips. Fast reliable service & quality products are the reasons why Contractors turn to TTEC over & over to help them complete the job! Rush deliveries to meet your critical deadlines are our specialty. TTEC has a vast array of stocked products & over 25 years of experience to suit many applications, including our extensive Field Cuttable Probes & accessories that can be fitted in the field with nothing more than a vise & tubing cutter. Motion control solutions for the outdoor power equipment. 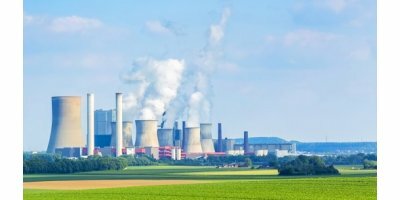 Today’s power industry is already subject to strict official regulations. These rules will only become more stringent in the future. As a result, environmentally friendly, cost-effective solutions that ensure plant and operational safety are in high demand. In calcination processes, solid intermediates and products are regularly handled in the fine powder form (ex: kaolin or metakaulin). There is a need to separate these very fine powders from the exhaust streams of calciners, fluid bed dryers or incinerators, often at critical temperature conditions. For PM emission control at very high temperature ( >600 ºC), traditional bag filters following temperature exchangers or scrubbers are used as end stage dedusters. 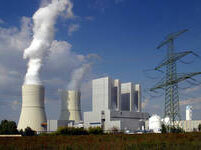 Industrial filtration solutions for the power generation sector. Sierra thermal flowmeters provide precise flow measurement solutions for a variety of industrial and energy-related applications such as flare gas measurement, cogeneration, biogas measurement, district energy applications, clean coal technology and many more. Minimize downtimes – increase safety and productivity! SWR is a versatile partner in the field of measuring systems for solids, that has extensive knowledge, experiences and skills in a wide range of applications. With our support, you will find reliable solutions that meet the requirements and standards of your industry. Our aim is to generate safe production processes. Powerful components for power plants. ProMinent solutions simplify everything: even complex power plant systems are optimally organised through a combination of our pumps and metering systems.